Collabgraph is a web service that allows you to convert your bibliography, your collection of literature references, and turn in into a fancy graph, showing who is collaborating with whom. 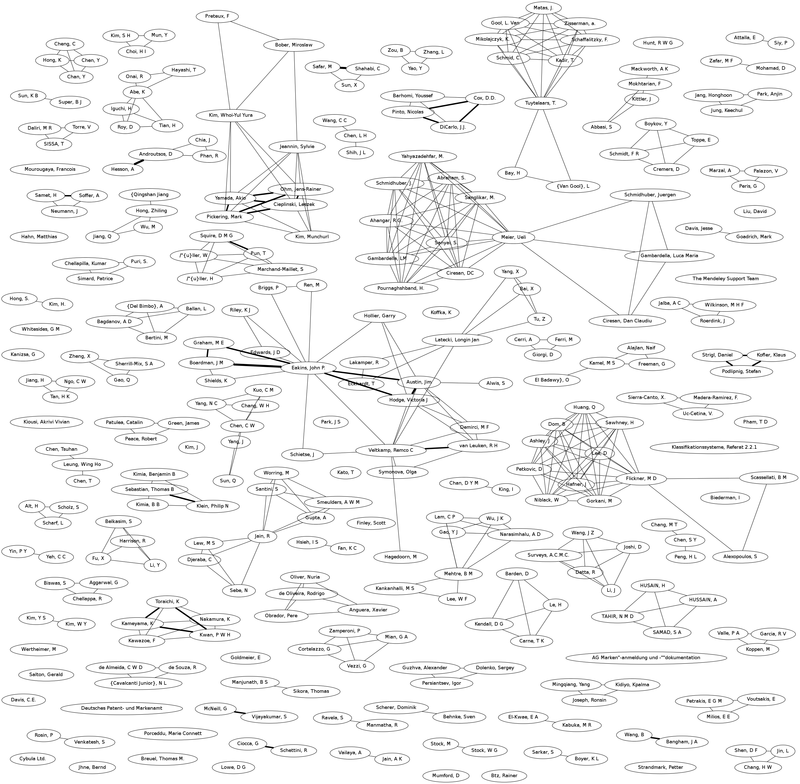 Collabgraph connects with your Mendeley library or any bibtex file you give it and draws a weighted co-authorship graph in which all the nodes are authors and the edges represent that the two authors have collaborated (or at least wrote a paper together). The source code of Collabgraph’s core is available at github. You can download it and create graphs on your own machine using your Mendeley account or a bibtex file. Try it, it is really simple python code. Collabgraph made it into the Top 10 of Mendeley’s Binary Battle! Thanks to anybody who voted for me!